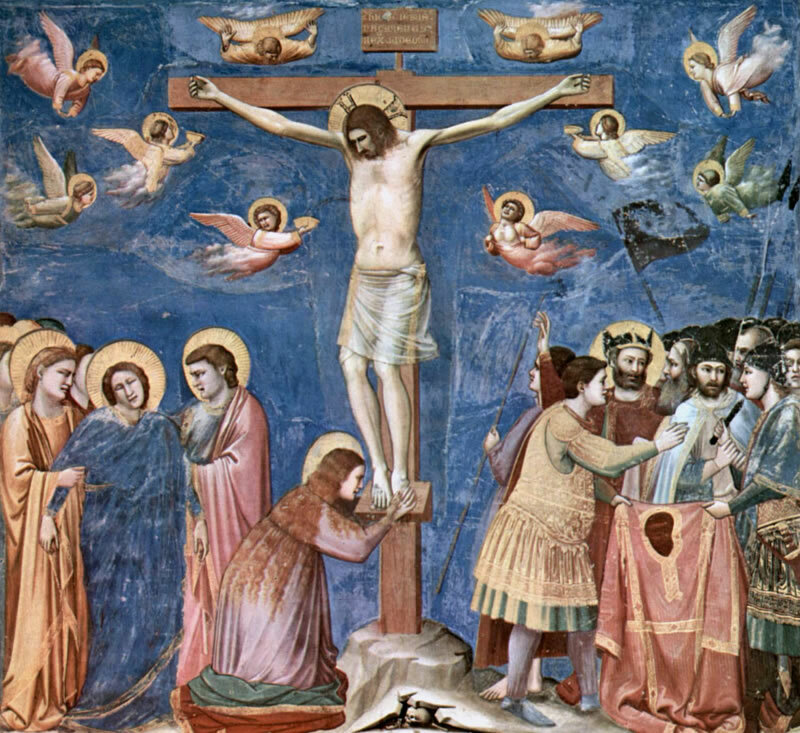 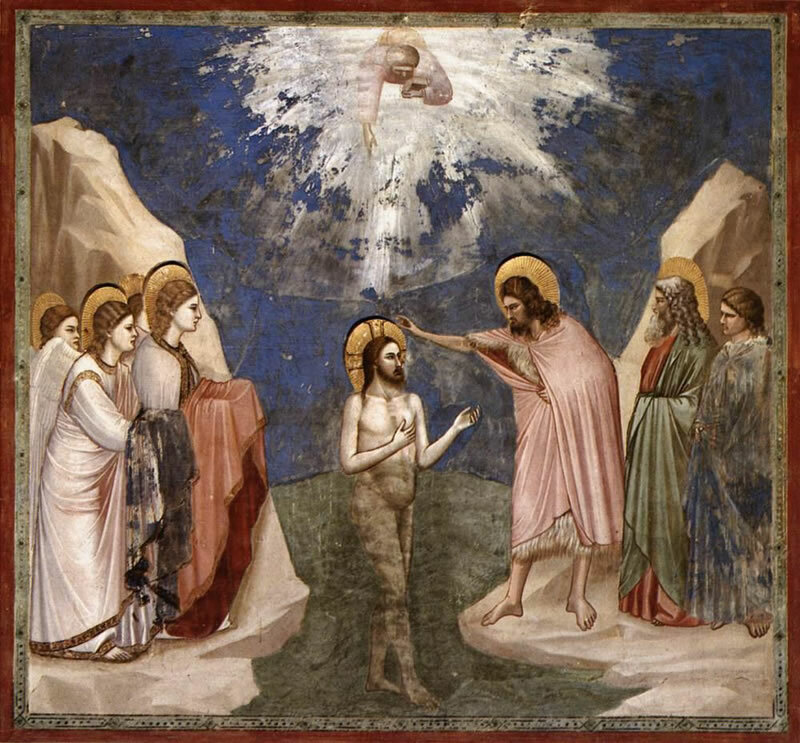 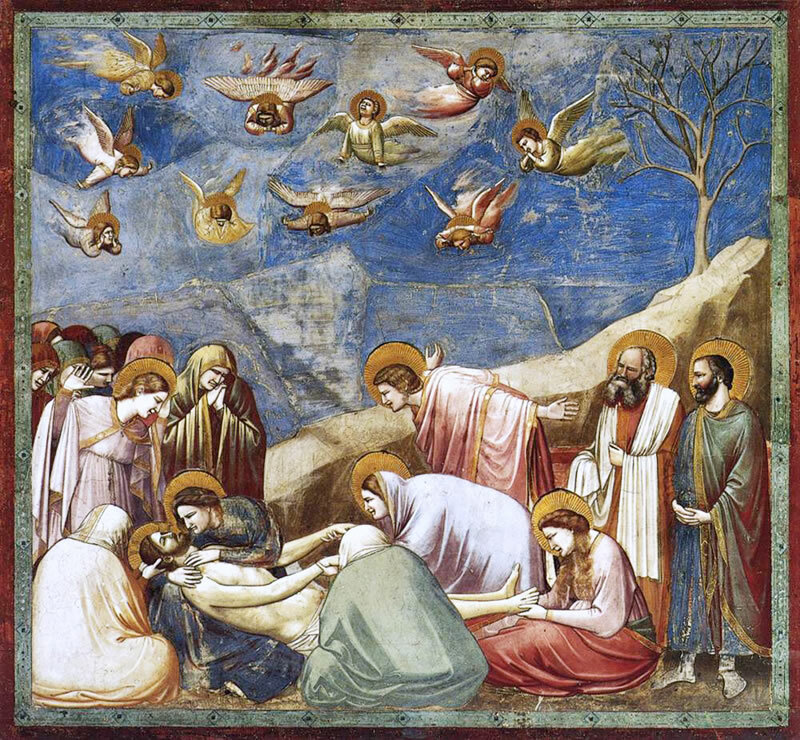 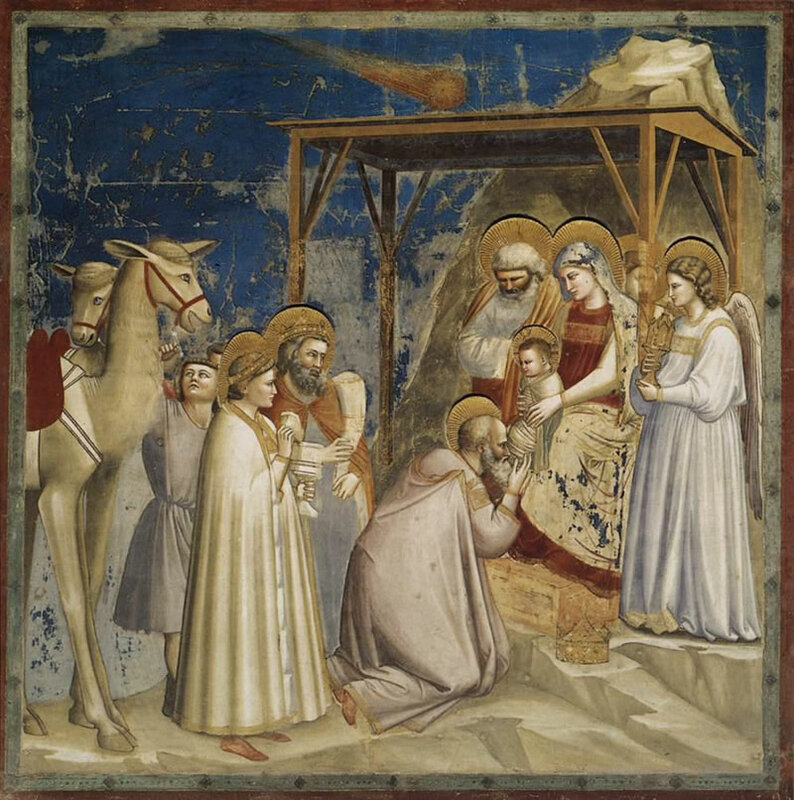 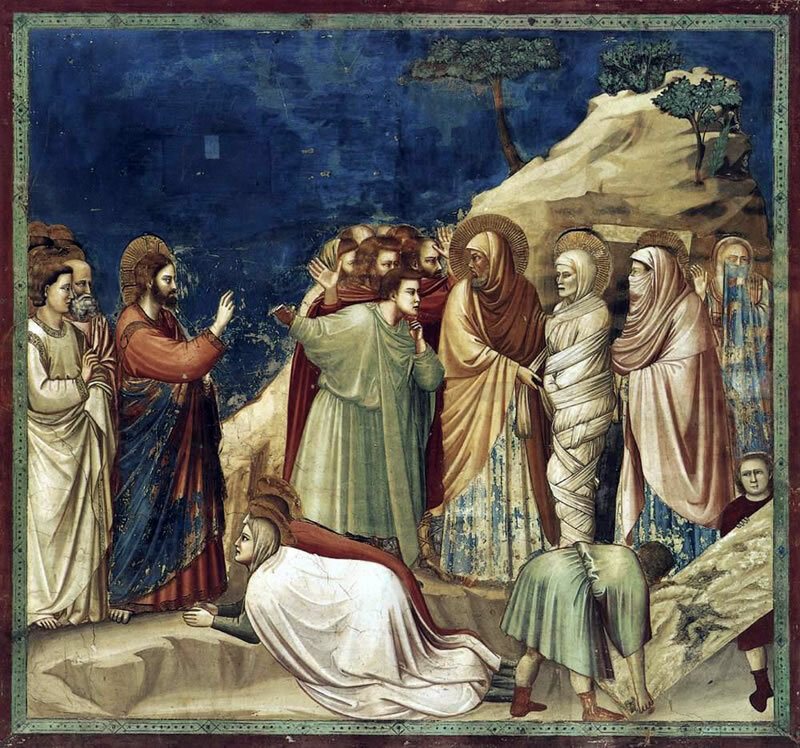 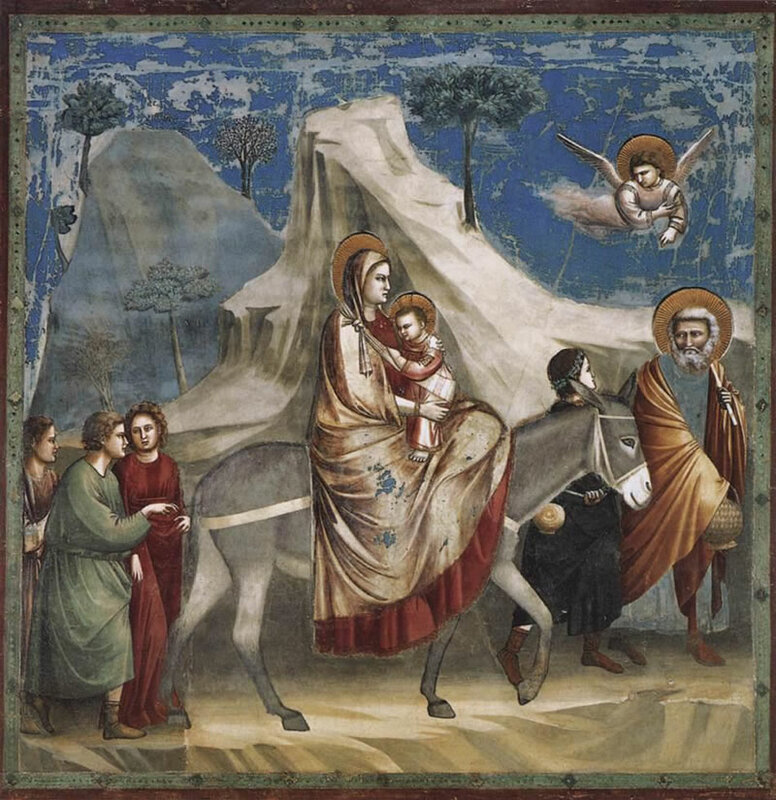 Giotto di Bondone (1266 – 1337) or Giotto was an Italian painter and architect from Florence in the late Middle Ages. 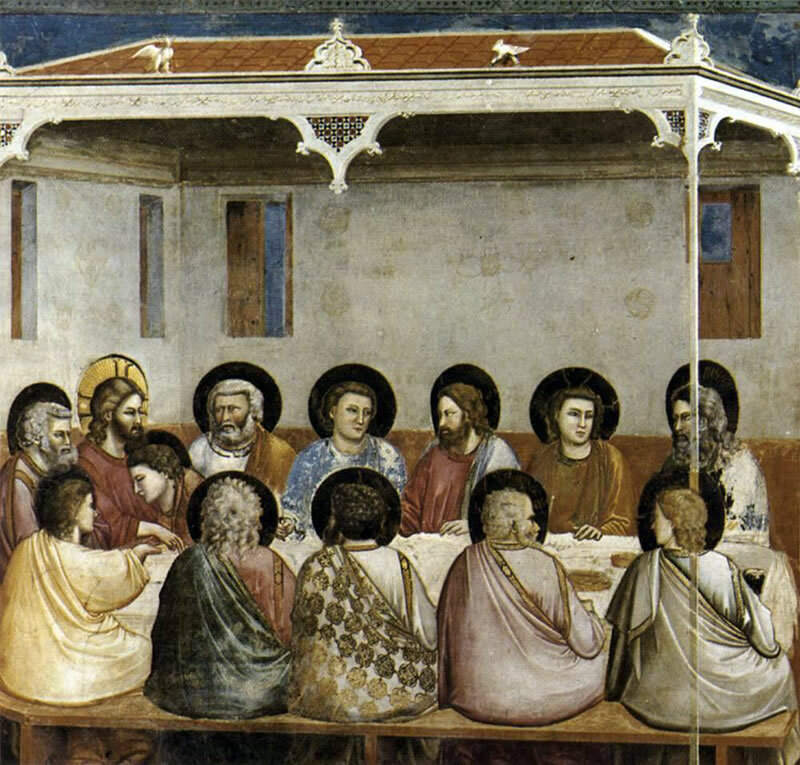 He is generally considered the first in a line of great artists who contributed to the Renaissance. 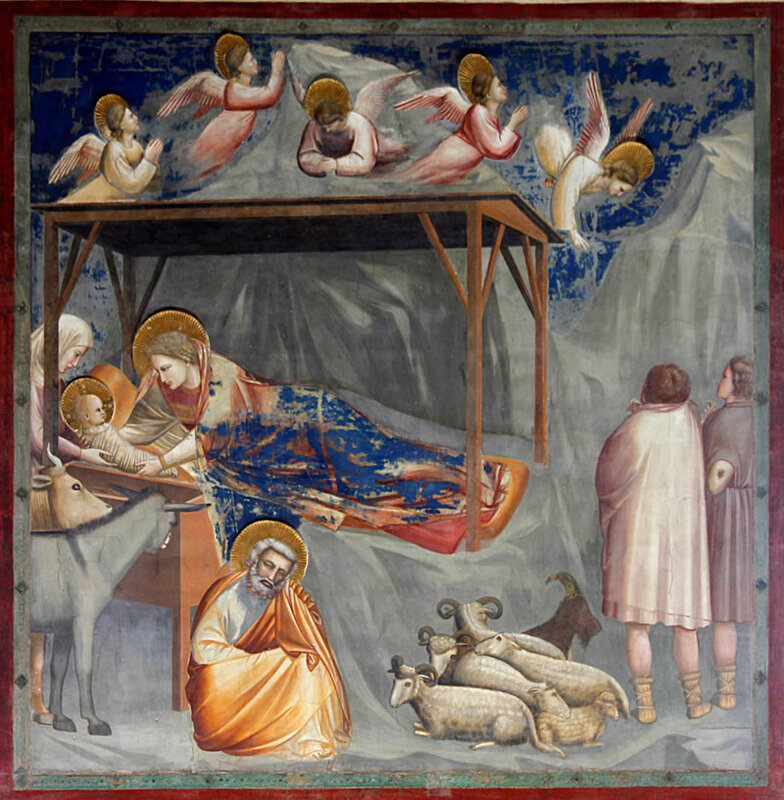 Giotto’s masterwork is the decoration of the Scrovegni Chapel in Padua, also known as the Arena Chapel, completed around 1305. 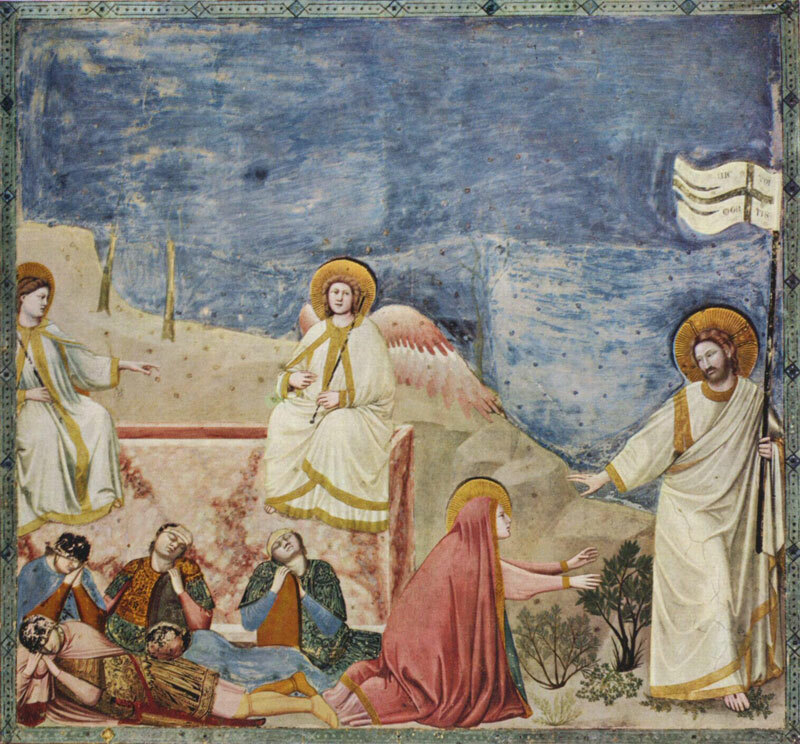 This fresco cycle depicts the Life of the Virgin and the Life of Christ.